E-cigarette use among teenagers is growing in the U.S., and Hawai`i teens take up e-cigarette use at higher rates than their mainland counterparts, a new study by University of Hawai`i Cancer Center researchers has found. The findings come as e-cigarettes grow in popularity and the Food and Drug Administration is considering how to regulate their sale. Some public health officials are concerned that e-cigarettes may be recruiting a new generation of young cigarette smokers who otherwise might not take up smoking at all, and the study’s results bolster this position. Data from the study published in the journal Pediatrics showed that nearly 30 percent of the more than 1,900 teens surveyed in Hawai`i had tried e-cigarettes, and of those, 17% were using e-cigarettes only. The overall rate is about three times larger than previously reported in U.S. studies in 2011 and 2012, which showed rates of 4.7 percent and 10 percent respectively. Additionally, very few of adolescents in the national studies are e-cigarette only users. The Hawai`i teens were 14 and 15 years old and surveyed in public and private schools in 2013. The survey questions assessed e-cigarette and cigarette use, alcohol and marijuana use, and psychosocial risk factors for substance use. Teenagers who used only e-cigarettes were intermediate in levels of risk and protective factors between nonusers and those who used both cigarettes and e-cigarettes. This raises a question about whether e-cigarettes are recruiting low-risk youth (who would otherwise not try smoking) to tobacco product use. Dr. Thomas Wills, PhD, the interim director of the UH Cancer Center’s Prevention and Control Program, said researchers aren’t sure why the rate of e-cigarette use is so high among teens in Hawai’i. 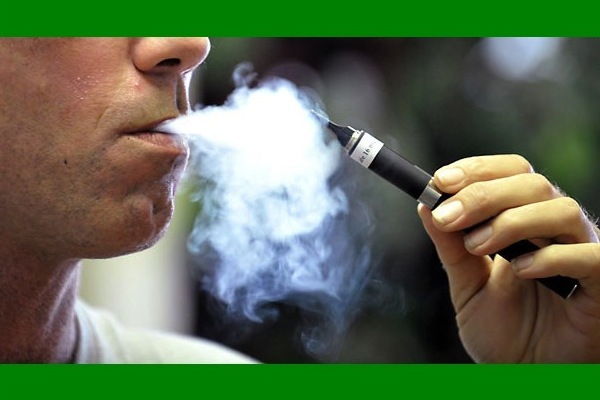 The health benefits and risks of e-cigarettes remain under debate, but Wills cautioned parents and teens. He also said e-cigarettes are widely available in the absence of restrictions on their sale, and that may help explain why the rate of use is so high in Hawai’i. “The marketing is very aggressive here,” he said, adding that manufacturers place ads at venues such as movie theaters that are accessible to teenagers. They also make flavored liquids in varieties such as mango and pineapple. Other reasons could include the high tax rate on cigarettes in Hawai`i, which makes alternatives such as e-cigarettes more attractive from a cost perspective. The UH Cancer Center is one of 68 research institutions designated by the National Cancer Institute. Affiliated with the University of Hawai`i at Mānoa, the center is dedicated to eliminating cancer through research, education, and improved patient care. Learn more at uhcancercenter.org.